It’s easy to find planes and cars flying and zooming across art decor for kids. But the artist behind Etsy shop Urban Tickle really goes the distance by pairing inspirational messages with the transportation motifs to really drive important sentiments home. 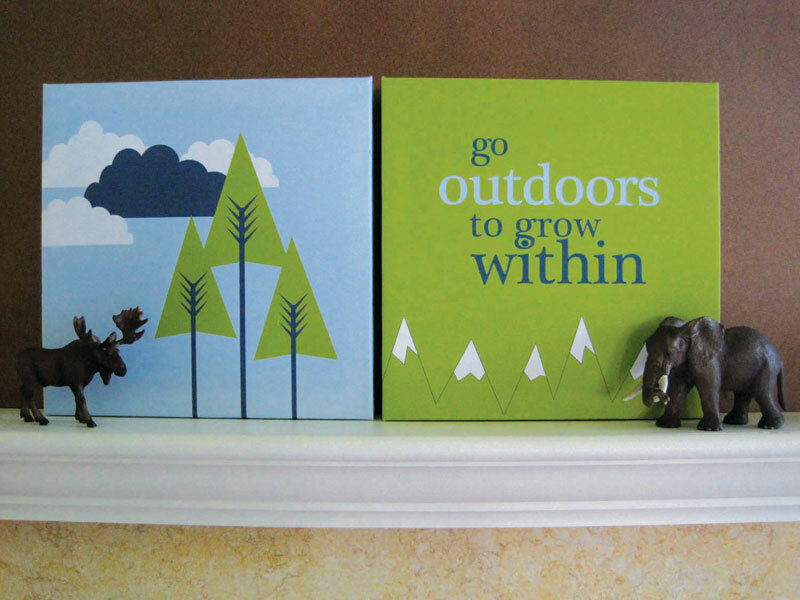 Parents may brighten the nursery or playroom with Urban Tickle’s 100% recycled wood art panels, made from wood salvaged from discarded apple orchard trees, while enlightening blossoming minds with the empowering words: “I hope that even the sky is not the limit for you,” and “In life, I hope you will always go the distance…” making planting the seeds of self-esteem a sweet and subtle undertaking. It's easy to find planes and cars flying and zooming across art decor for kids. But the artist behind Etsy shop Urban Tickle really goes the distance by pairing inspirational messages with the transportation motifs to really drive important sentiments home. 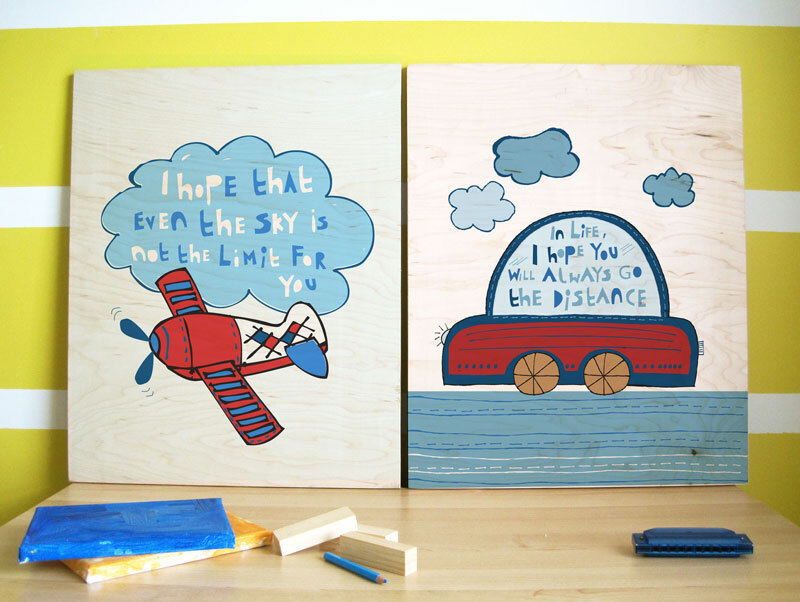 Parents may brighten the nursery or playroom with Urban Tickle's 100% recycled wood art panels, made from wood salvaged from discarded apple orchard trees, while enlightening blossoming minds with the empowering words: "I hope that even the sky is not the limit for you," and "In life, I hope you will always go the distance..." making planting the seeds of self-esteem a sweet and subtle undertaking.